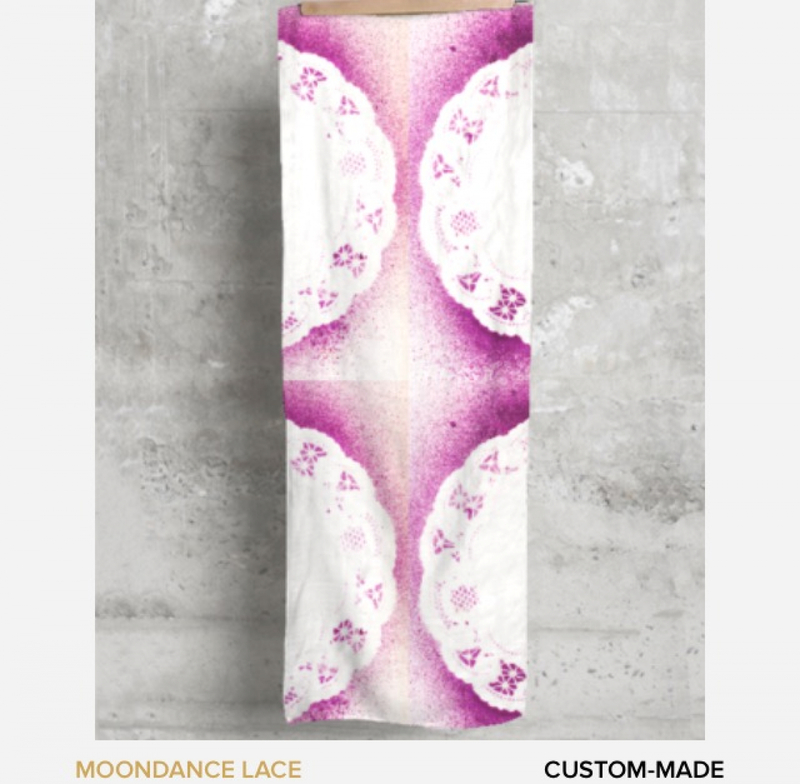 This scarf is created from one of Angela's hand-painted art works entitled Moondance Lace. A soft, luxurious fabric that is heaven to wear. This scarf makes a bold, modern, unique statement that compliments anyone’s wardrobe. "Why be ordinary when you can wear art? + dimensions: + measures approximately: 28" x 78"
+ fabric:100% Modal a luxuriously soft botanic silk fabric made of beechwood. Its botanic origin makes it eco-friendly and its fineness is comparable to that of natural silk. + Machine wash cold. Tumble dry low. Iron on reverse side. 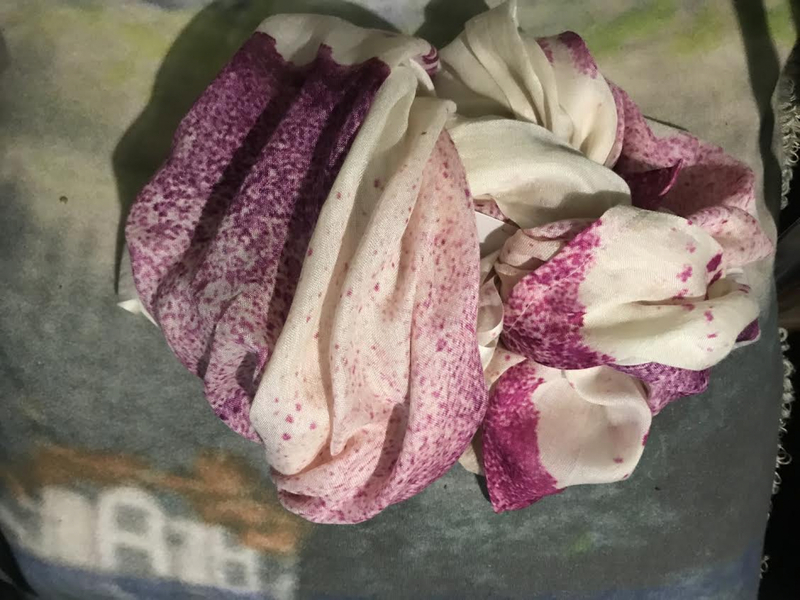 Wash with like colors.